Beko make reliable fridge freezers that look great. Beko fridge freezers are compact so they can take care of all your chilling and freezing needs without taking up valuable room in your kitchen. 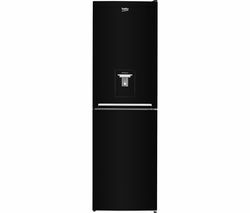 Beko fridge freezers are available in a range of styles including double door and upright variations. When you cook a big meal or have leftovers of any kind it makes sense to be able to store excess food for later rather than throwing it away. Keeping surplus food and groceries chilled in a Beko fridge freezer is a safe and hygienic way to make it last longer and freezing meat, fish or vegetables will lock in freshness and nutrients. 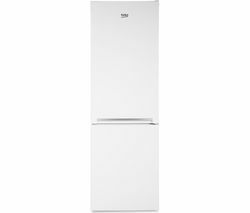 The Beko ASD241S is an American-style, two door fridge freezer that’s perfect if you have a large family and like to stock up on essentials and your usual groceries. With more room inside you’ll need to take less trips to the shops, saving you time and effort. The ASD241S has been specially engineered with NeoFrost technology, two fans and evaporators, which means your groceries will stay fresher for longer. If you’re looking to maximise the space in your kitchen a Beko fridge freezer combines two appliances in one and will look good wherever you place it. Need more space? Check out our range of stylish Beko American fridge freezers.